This was an interesting week on the weather front, heavy fog; warmer than normal temperatures and some pretty nice weather overall. 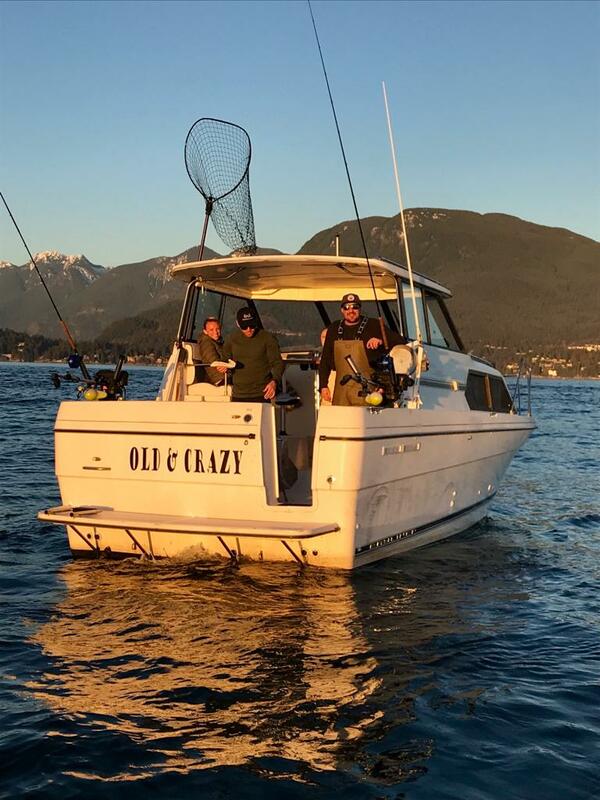 It made for some good river days earlier in the week and when the saltwater boys could dodge the fog, the winter chinook fishing was solid. We have some rain in the forecast this weekend and it is raining as we write this report (Thursday night). This is probably a good thing for the river fishing as a number of our systems were getting too low and clear for good fishing. Looking at things for the weekend we do not expect rivers to blow out and it actually might not be enough rain. Time will tell. With any luck the rain will bump things up a bit, colour the water and get fish moving and eating again. 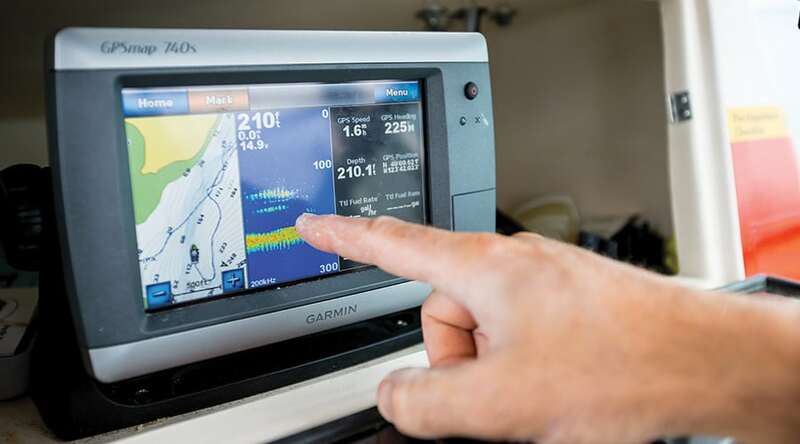 In this week’s report we have info on the Squamish and Stave. A number of guys have been out this week with mixed results. Matt is out this weekend so we have been watching things carefully and will hopefully have good reports next week. 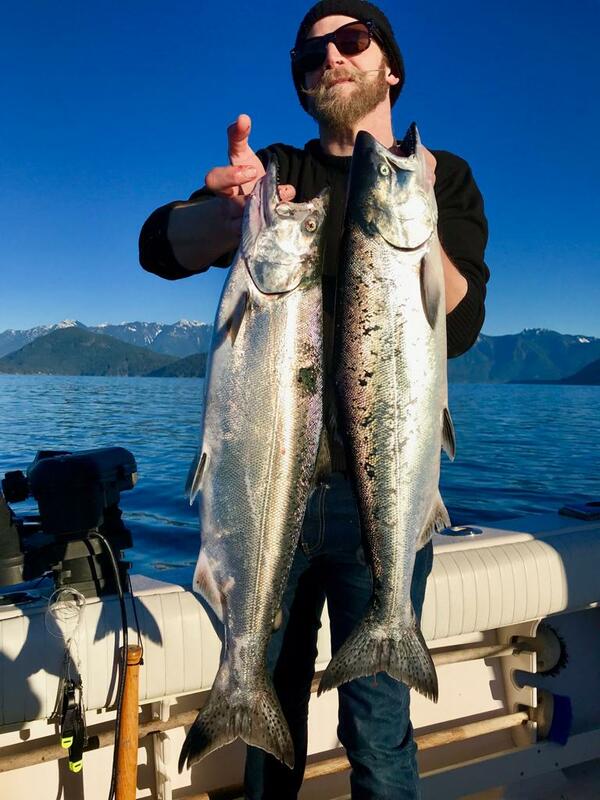 The Vedder has be producing fish more consistently. Jordan and Alex have been out scouting and will be out more over the next 2 weeks. 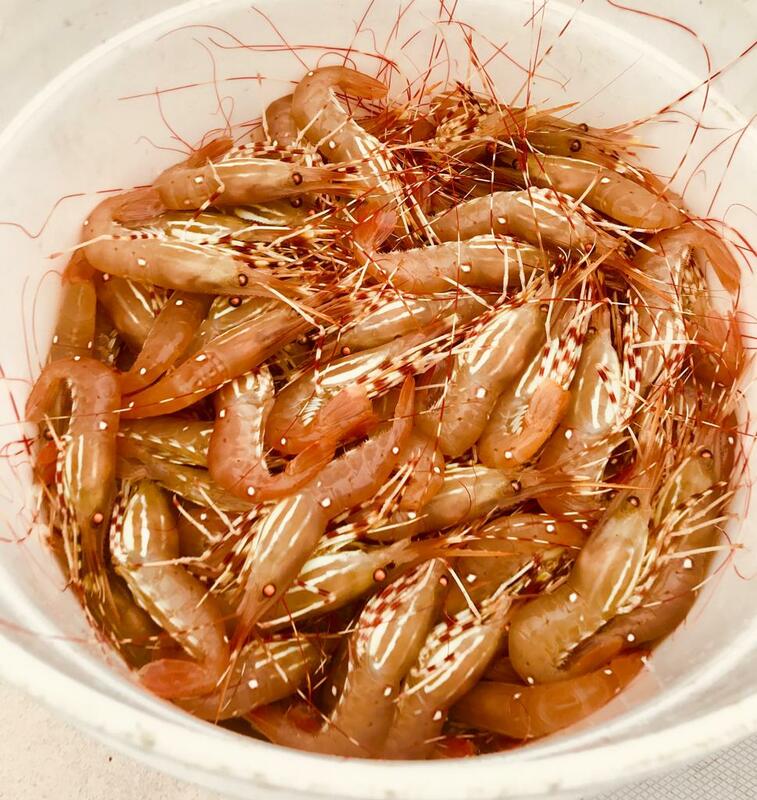 Last but not least on the saltwater front things have been productive both in the harbour and up Howe Sound. 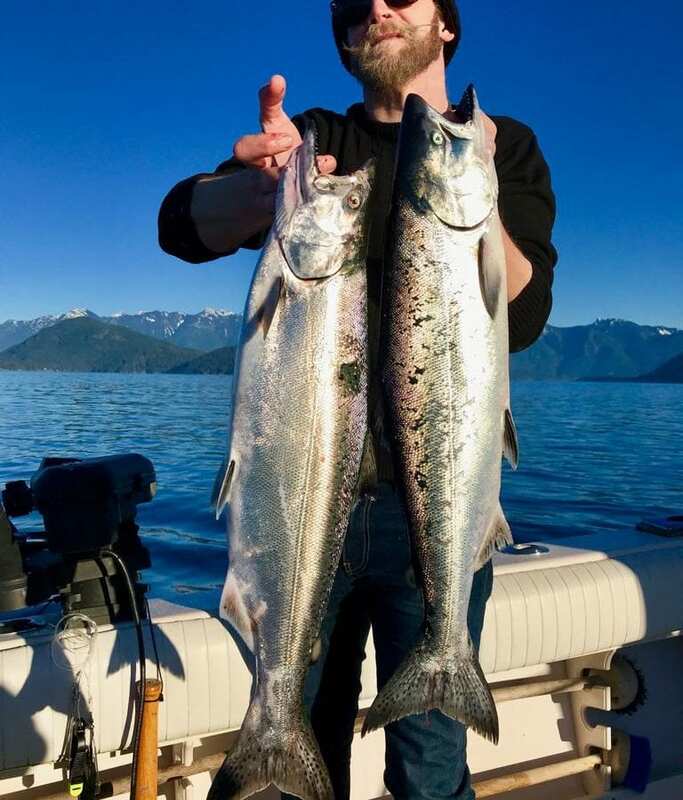 Jason has more details on local saltwater fishing in his report this week and if you have been looking to brush up on your local saltwater knowledge there are just a few seats left in his upcoming Mastering Local Saltwater Salmon Course. This course sells out every year so if you’re thinking about it don’t wait! 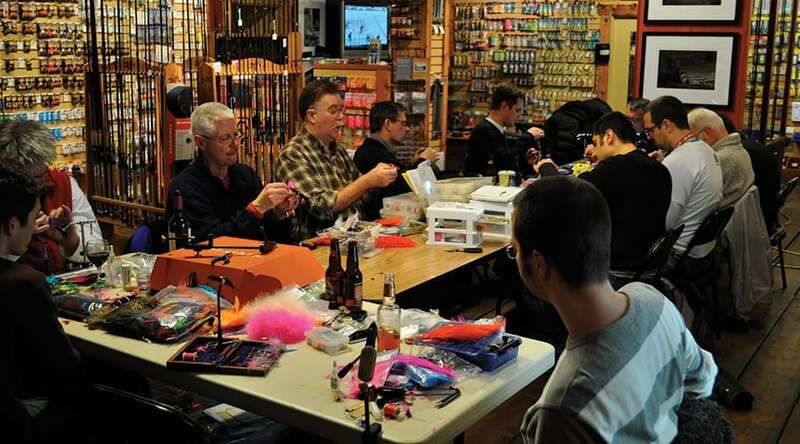 There is still time to grab the last spots in our Introduction to Fly Tying Course taught by the one and only Zach Copland – the first class starts next Monday! 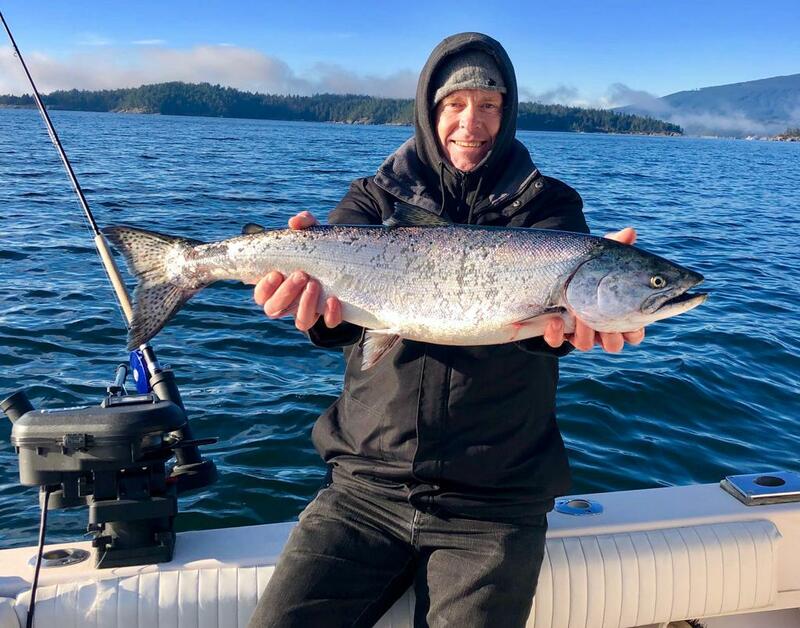 We also have just a handful of spots in our February Offering of Mastering Local Saltwater Salmon. This is a great time to take the course, as you will be dialed in for the WHOLE upcoming season. Information and dates are below. Call the shop at 604.872.2204 to sign up today! Seminar: Feb 3 Guided: Feb 11 or Feb 16 – All other dates SOLD OUT! The Vedder has been steadily dropping most of this week with our sub-zero temperatures at night and blue bird skies during the days. I was out on Tuesday scouting for this weekend and found some sweet water even with the clearer conditions. There isn’t a ton of rain coming over the weekend but it should be enough to colour up the water a bit and get some more aggressive fish. If you can pick your days, later this weekend through mid-next week should be prime unless we get some unexpected crazy rain. As always, fish for the conditions and put your hook in the high percentage spots. Scale your presentations up a little bit and fish in tighter if the water colours up a bit. The Stave is still fishing solid and with the oncoming rain in the forecast expect better fishing near the Toilet Bowl. The cutthroat are a solid choice to be targeting, but don’t forget the healthy population of whitefish in the system. Sizing down to a 4 weight fly rod or an ultra light spinning rod is an absolute blast for these tiny fighters, and definitely is something to consider if you’d like to do some casual angling. Once again the go-to’s are drifting egg presentations in an 8mm size, or small colorado blades. If you’re tired of watching an indicator, small spinners or streamers could yield some heavy strikes from the larger cutties in the system. From most accounts the Squamish and its tributaries have been a tough go as of late. That said, anglers have been finding fish by covering lots of water. 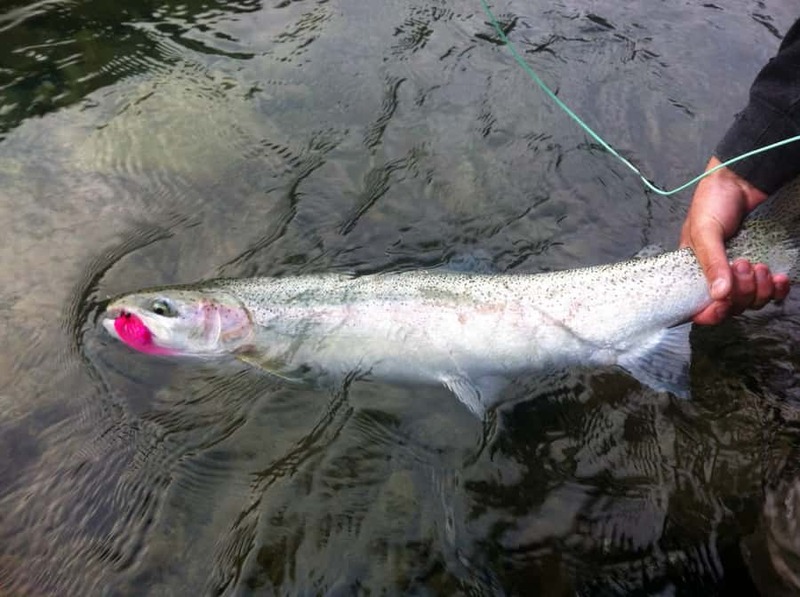 Drifting beads has been the norm for both float and fly anglers with the odd streamer and spoon producing as well. When the water gets low and clear it is important to cover lots of water as the fish will be forced to move around and seek shelter and food. Having a variety of beads can also be key as fish start to focus on the washed-dead stage of eggs. That said, when the river does bump, having a few bigger and brighter beads doesn’t hurt as it allows the fish to see it from farther away and commit. 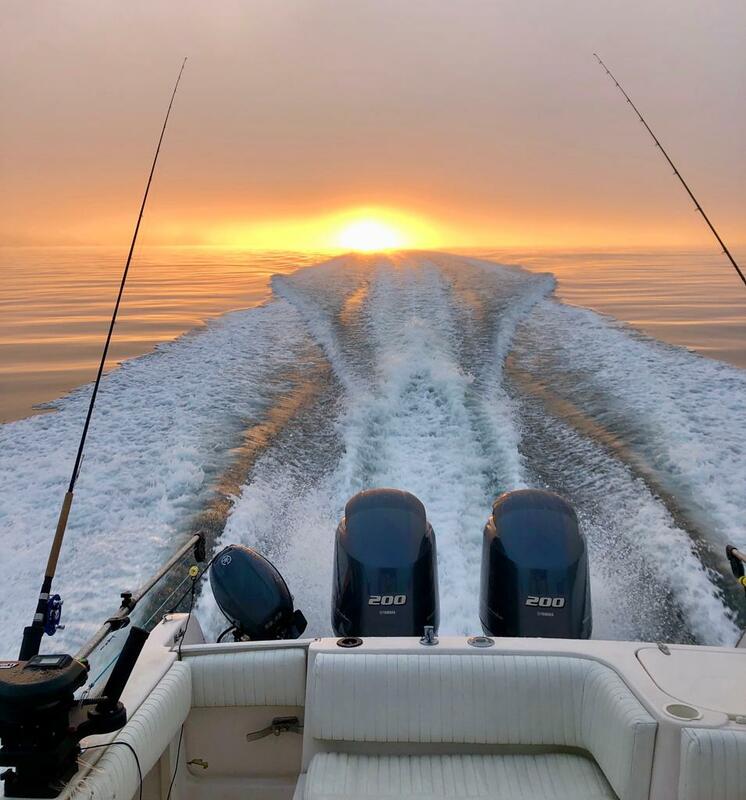 Derek snapped this pick on the run out in Salty Dawg, just as the sun came up into the fog.